Emu Oil is the closest oil to the one found in the human skin. It is high in Vitamins A, D, E, F & K2 and Omega 3, 6, 7 & 9 oils therefore very healing for the skin. Can be used on eczema, dermatitis, psoriasis, heals burns reduces scarring and is great for arthritis, inflammation and aching muscles. Emu Oil is extremely low allergenic therefore ideal for sensitive skin. To read more about the amazing uses for Emu Oil, for internal and external use take a look at our informative blogs. Emu Oil has been used by the Australian aborigines for thousands of years. They have relied on its consistency of healing and therapeutic qualities to survive Australia’s harsh climate. ARTHRITIS, INFLAMMATION, ACHING MUSCLES: It will penetrate deeply and work to cut down inflammation, open up blood capillaries and promote increased blood flow and oxygen to problem areas. This is essential for the healing of muscle and joint problems. (Mix half Emu Oil and half Eucalyptus oil for an excellent liniment.) People have also had allot of success taking it orally as well 1 or 2 teaspoon a day. The Emu Oil has helped my wife to take away the pain in her mouth & relieve inflammation from teeth & gum ulcers. It has also helped with my scalp from psoriasis & dandruff. Excellent service from the staff. Product was received within 3 days. Emu oil is a great moisturiser for face and body, it’s very hydrating not oily and absorbs very quickly. Totally recommend it. We visited your business during a short tour of the beautiful Kangaroo Island and I purchased Emu Oil product which was excellent for my sensitive sun damaged skin which is prone to eczema. The staff were very helpful and friendly. Have used Emu oil for years to keep my joints active – I’m a 72 year old mad keen snow skier. Trustworthy supplier of pure emu oil at good price. Quick receipt of product after ordering on website. I have visited your store and witnessed the emus are pasture raised, therefore I trust your product is of the highest quality and it isn’t the most expensive compare to other stores. The healthiest fat from one of the most natural shops, emu oil is the best topical and internal supplement. To me, emu oil is like a healthy national treasure in Australia. My emu oil arrived today. Thank you for the two surprises–the lip balm and soap. I will use both. I am actually going to share some of the emu oil with friends. It has really worked for my arthritic pain. Expect an order from me come February. I have had a quiet year on the shopping, but it was good to see your email today and be reminded that I need my Emu Oil. I have currently been using it on a knee I damaged when I tripped over a lifted paver in the footpath. Emu Oil is a great anti-inflammatory. I have used nothing else except the initial ice packs! 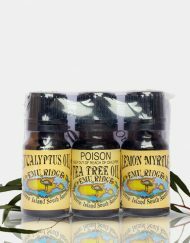 What a wonderful surprise I had today when my emu oil and eucalyptus oil arrived with a pouch of eucalyptus honey sweets enclosed. Thank you very much. What a nice tasting sweet, or if I translate that into American English, what a nice tasting candy. I think I could easily become addicted to it. Even though I have lived in Auckland, New Zealand for 41 years, lollies or sweets will always be ‘candy’ to me. I am enjoying using the emu oil. I am adding it to the moisturizing cream I make. I have very dry skin so I have experimented with different oils to see what works best for me. I reckon my skin drinks moisturizer, then asks for more a few minutes later. By adding Jojoba and emu oil to my recipe, it provides a longer lasting moisturizing quality that I need. I am also using the emu oil on my husband’s leg. He has a Baker’s Cyst which forms behind the knee and causes pain and stiffness in the knee. Our doctor recommended anti-flamme cream to rub on the area where the cyst is and paracetamol for the pain. That didn’t have much effect. A few weeks later I received an email that talked about the uses and benefits of emu oil and decided to give it a try. When we went to the doctor a couple of weeks ago, he said the cyst was a quarter of its size. My husband’s knee still hurts, but the pain has diminished somewhat. So the emu oil seems to have had a beneficial effect. You only need a little of this product, it goes a long way! Finally got something that works for the eczema on my face. Great product my skin is so much better, good customer service and prompt delivery. Emu oil is fantastic treatment for arthritis. I use it, my sister-in-law uses it and I would recommend it to anyone. It works very well (when I apply it daily) to prevent rosacea appearing. I use it for muscular aches etc. Seems to help. I like to support our Aussie small businesses and found your product was helpful. Love the suggested recipes for glass cleaner etc. Thanks for lots of ideas for use of your products. The emu oil is great value for the quantity and the only thing that keeps my sons eczema at bay. I live in Alice Springs and my skin is ultra dry. Emu oil keeps my skin in excellent condition. It is also brilliant at healing scratches etc. While I really like the healing qualities of Emu oil the honey is also something worth getting as well. Recommended for severely inflamed tummy, serious diahroea. It helps, but it has also shrunk my skin cancers, I’m extremely happy. I’m very happy with the product, and very happy with the service. It arrives promptly once ordered. The emu oil hand cream is very good. I have tried many creams to hydrate my dry hands and none work as well as the emu oil. The Emu oil has been very effective with psorasis and ecsma on my daughter. Favourite Product – Emu oil. Helps with my son’s eczema. Emu Oil for my flaky and itchy skin condition on my face. My favourite product is the high quality Emu oil with its many health benefits. The outstanding quality of the products match the unbeatable customer service of this small family farm. I am grateful to have found them! My 5 month old son was suffering from severe eczema. He was constantly scratching at his face and scalp. We were given a small amount of emu oil from my aunt who visited Emu Ridge a few months back. 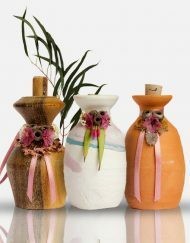 I had tried several baby lotions, oils, and home remedies. In FOUR days he went from completely broken out all over his body to just a few light splotches. I ordered more emu oil and in the 3 weeks that it took to get to the US I tried another brand. It did not work as well. So I am stocking up on Emu Ridge Emu Oil. I also use it with the eucalyptus oil on my low back and feet at night. It helps with the low back and foot pain. Not completely takes it away, but you can really feel a difference if you don’t use it. I have purchased a variety of products over the years and the EMU oil is the only thing that has ever worked to relieve my mother’s neuropathy! Thank you!! The Emu Oil. It’s all but cured my husbands tennis elbow which was quite bad and it keeps eczema that he has under control. I’m currently using it on my face after having swelling and blisters from a treatment for sun spots on my entire face. My skin has healed so very quickly, it’s been amazing to witness! We’ve already recommended it to family as we super love this oil! The emu oil. Using for the repair of my eyelashes and its working magnificently. I had read some really good reviews about emu oil for oral use and also as a body moisturiser, as I have recently had a major surgery I’m hoping that it will be really good on my scar I have only been using it for 2 weeks easy to take orally have it first thing in the morning with a bit of orange juice and after a shower I put it on my face and rub into my body feels really really nice. Love the fact that it is pure there is no additives . The pure emu oil to use as a moisturiser. I was really happy with the service and I love the product. My husband has found the emu oil successful in reducing the pain in his knees. Information and courtesy received when phone ordering was most helpful and with success of the product will continue to purchase direct from your company. My husband uses Emu oil as it helps with a condition that he has in his wrist. Very helpful and caring staff who give of their best with every order. These are delivered well packed and as quick as the mail service will let them be! I found out years ago about the benefits from Emu Oil from a business friend who was suffering from Rheumatoid Arthritis. The Doctors were so intrigued by her remarkable recovery they asked what she was doing. Taking copious amounts of emu oil both internally and externally with physiotherapy. She told me they were going to do trials with other patients to see if it could help them also. She also told me that there was some research being done on mouth ulcers and cancers. I have Lichen Complanus in my mouth which can be very sore at times. I was told by my dentist that there was nothing that could be done for this, so I decided to try Emu Oil. I used this three times a day for months. I have to tell you, the dentist wanted to know what I had done to clear this up. So I told him: EMU OIL. I have been free from this for years, but unfortunately it is back again. For the last week I have been back on the Emu Oil and one side of my mouth has improved greatly. Hoping it wont be long before I have a positive recovery again, thanks to Emu Oil. One other thing. While my youngest granddaughter was staying with us a few weeks ago I noticed she had Impetigo around her mouth. I put Emu Oil on it which soothed it for her. Every day she asked me if she could have some more put on around her lips as it stopped it from hurting. Within a week it had almost disappeared. Thank you again Emu Oil!!! We bought a bottle of Emu Oil from your store in Kingscote during our holidays last December. We loved the product very much as it is very effective in treating psoriasis and eczema. The website was easy to navigate, the product was despatched quickly and the product was as advertised. I have been using the Emu Oil for a couple of weeks so far and it appears to be a good product. I bought the Emu Oil for a friend who says it is the only product that helps her psoriasis. I’ve been using this emu oil for three months as a cuticle oil and nail strengthner for my peeling splitting nails. My nails are now so much stronger and I’ve been able to actually grow my nails! I grew one nail 1cm long simply because I could. It lasts forever, is non-greasy and great on my sensative skin. It’s also been wonderful for my dry feet and has helped heal the odd cut. I bought Emu oil when visiting and applied to an egg-sized bruise. The bruise completely disappeared after a week which usually take many weeks. I have also been using it on my husbands psoriasis. Thank you. I bought some emu oil and found it very good for my arthritis. Emu Oil sending to friend in Germany used for her arthritis…. she loved it. Emu oil. I use it topically for arthritis. Was great to use on my mum’s skin. Easy to rub in and had great results with sores etc. I visited Emu Ridge on a tour and bought a little container of emu oil. I used it on my dermatitis (arms and legs) and any inflammation. I love it and had to buy a huge bottle online because I ran out so quickly. The online ordering was easy and I received my oil the next day! Great service. I like the emu oil as it is 100% pure and the reason I bought from you in the first place. Since then everything else has been excellent. I have been using emu ridge pure emu oil for at least 10 years. The product is my daily moisturiser for my face and hands. I am proud to say that people comment on how young my skin looks. Comments like you don’t have any wrinkles, I am 66 and it’s great for the ego when people think you are in your 50s because your skin looks so good. Pure emu oil is the only thing I use on my face. Excellent service online and in store. Emu oil, good for moisturing my old skin! We love your emu oil. It’s the only thing we use for our sore muscles and injuries. Rub it on at night, the next day you notice a big difference. The best wonder cream ever! PS. I really like your logo. I really couldn’t cope without wonderful emu oil. I use it for sore joints, scratches, insect bites and I am now using the capsules. I have Sjogren’s Syndrome so I have very dry skin and I hope it can help me on the “inside” as well as it does on the “outside”. Emu oil is a great help for eczema. I ordered the emu oil. Compared with other websites, the Emu Ridge product was good value. Love the emu oil just received my order today and my hands already feel lovely and soft. Heard about the products 9 years ago when I visited, have used the lip balm ever since. I was very happy with the service, fast and friendly and competitive pricing. The product was also amazing on my skin, so much better than coconut oil, I will definitely order again. We visited via Pacific Jewell in feb and I bought some Emu oil for my husbands bunion.. he gets immediate and lasting relief from it. He is in hospital at the moment and the medication has given him gout. Enter emu oil, again instant relief and very impressed nursing staff! We had a very interesting visit with such pleasant and knowledgable staff. Life savers! The Emu oil is fantastic. I use it everyday for my hair and skin. Easy to put on and feels nice. My husband and I visited Emu Ridge in October while on holidays. We bought some emu oil for our 10 month old grand daughter who has troublesome ezcema. Her parents had tried everything to clear it up but it was persisting. The emu oil was immediately effective. It was an outstanding improvement. We wish we had got more. Now there’s more on the way by post thank goodness! This is a real testimonial. In reply to Sharon Olliver. Thanks Sharon, It really is amazing, we hear so many great stories, my favourite is using it for my face as i have very sensitive skin. I love this product, Emu Oil is like a magic potion. It’s healing and soothing properties are amazing Great on broken skin, wounds, burns. Takes the heat or soreness away and heals skin quickly. I totally recommend! The skin repair is great for cracked heels too!! In reply to Joey Behan. Thanks for letting us know your thoughts, much appreciated, this link has some amazing info on on Emu Oil if your interested, I love it to. https://www.emuridge.com.au/hair-loss-and-so-much-more/ and we are proud of our products free from nasty chemicals, much better for our bodies. Love the emu oil, so good for the skin. Shampoo also very good, no itchy head. 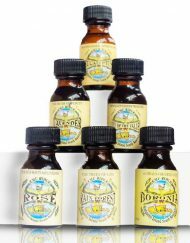 Eucalyptus oil in very handy sizes. The emu oil is great for my skin. Also, l eat a mouthful every day. I was in 2006 on the farm EMU RIDGE, where he was already impressed by the brought products. Now I again ordered me Emu Oil and Eucalyptus Oil. Even when opening the package it smelled like that time on the farm. I immediately felt transported back and wonderful pictures of beautiful holiday came to my mind. The oils themselves are wonderfully rich and smell great. The skin is really well maintained and is also suitable for skin problems. Payment and overseas transport to Germany have works just fine. The products were well packaged and safely. A big praise! While visiting your beautiful country I wanted to find something to bring back as a gift to the members of my book club. Of course I wanted it to be useful and authentic Australian. It would also need to be travel friendly. Your small bottles of Emu Oil were perfect o all points. They were mailed in a timely manner before I returned home and my friends loved them. Thank you for doing what you do so well. I bought 2 small pots of Emu oil from our recent visit to KI. I gave the first pot to my daughter as she has dermatitis on her hands from wearing gloves for her podiatry job. She has been very impressed with the oil and had good results within two days. The second pot I took to my mother (92), as she suffers badly with dry skin ,having many very angry, scaly and nasty sores on her face and neck. I have been putting the oil on twice a day for less than a week and already the improvement is amazing. The very tender sores can now be touched without hurting. The scaly sores are getting smaller and the anger is lessening in the red patches. I am using it on her hands as well, as there are quite a few sores that have taken forever to heal. They are improving too. By using the oil on mum’s skin, my own hands have shown improvement as well-they are not as dry by the end of the day. Your product is amazing and I look forward to seeing mum’s skin glowing very soon. Thankyou. Have ordered a bigger bottle this time! I have arthritis, particularly in the hands and feet and due to health reasons am not able to use anti-inflammatories or painkillers. Thankfully I found Kangaroo Island Emu Oil on a visit to Kangaroo Island. It is of high quality and is really effective, and takes away both the pain and the inflammation. My husband rubs it on my feet and hands at bedtime and it takes away the pain and allows me to have a good night’s sleep. A ranger at Alice Springs told me she learnt about emu oil for arthritis from an old aboriginal lady. Have used eucalyptus oil for years, and now also using emu oil. Both great products. Also appreciate your Superior Service!!!. Thank you. Loving this product! I am using this oil for over 5 years so far and can’t imaging my well-being without it anymore. 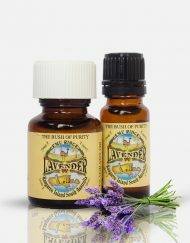 Use it for almost anything – skin moisturizing and softening, wounds and sun-burns better healing, intimate care when needed, for arthritis pain. This is an amazing product of nature! I can happily contribute with my appreciation for eliminating bad eczema which has bothered me for almost 40 years, since I was 21. We visited KI in the summer holidays but unfortunately didn’t have time to go to Emu Ridge. Instead, I bought a few products online as I had heard some wonderful things about the distillery. The eucalyptus drops are fantastic & delicious. My daughter gobbled them down when she had a sore throat recently – they really do help to soothe. I also bought eucalyptus & emu oils. Both are exceptional products – the emu oil is a wonderful night time moisturiser. Service is great – my order arrived promptly. I will definitely be ordering again in the near future. In reply to Susan Haines. You are kidding! I wish I’d known about Emu oil when my 9 year old son also had this awful condition (Molluscum) a year ago. It’s incredibly itchy, quite painful and is contagious in water. Not to mention he was embarrassed to take his shirt off in Summer. We tried everything but eventually his skin became heavily infected and he required heavy antibiotics. It finally disappeared of its own accord, but I wish we’d known that Emu Oil could have helped at the time. Excellent quality emu oil. Most other ones on market are blends. I bought a small bottle of emu oil on a visit to Kangaroo Island and since ordered a large bottle on line. I use it every day to moisturise my face and body – gentle, non greasy and I think has improved my complexion. Great product! Will try for my hand with arthritis and see if there’s a difference. I started using Emu Oil for the occasional muscle soreness after too much gardening or housework! Have now moved on to using it all the time – has helped arthritic hands, all sorts of muscle and joint needs, and now my husband and I use it as an all over moisturiser – it is marvellous for dry skin and even my very allergy prone face benefits greatly from its daily dose. We are now buying the new 1 litre bottle. On top of that Bev and co are such lovely friendly and helpful people. In reply to Mary Corstens. Thank you for coming to visit Emu Ridge, we are glad you enjoyed your time here. In regards to your question, both bottles are perfectly fine to use. The reason why the emu oil varies in consistency is because of the temperature. When the oil is warmer or at room temperature it is in its liquid form, but when it is cold it turns into a solid. To fix this problem, just leave the bottle(s) in some warm water for a few minutes or until the oil returns to a liquid. Hi. We visited your farm yesterday and bought 2 bottles of 100ml Emu Oil. I have noticed one bottle is liquid and the other has a thick consistency. Is this normal and can both bottles be used? By the way we thoroughly enjoyed the visit. 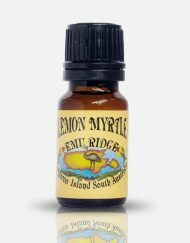 As a Soap & Cosmetic maker, I have found Emu Ridge Emu Oil to be far superior to other Emu Oils that I have tried. I have used it in our new Muscle Rub and reformulated our Itchy Skin Rub to include it. I feel that both products have been vastly improved, by it’s inclusion. I would like to thank you for your products. I have bought “pure emu oil 100%”. I use it on my eye lids while I’m so allergic. The oil is very good for this. When I have burnt skin I also use it, both for me and other persons in the family. After many years of using a ‘skin repair’ cream bought from the supermarket, I switched to Emu Ridge Skin Repair cream and have been amazed that the painful skin cracks on my fingers/thumbs I suffer from each winter have just not happened since using the Emu Ridge cream that contains emu oil. I just wish I had found it sooner! I also love the Fragonia face cream with emu oil in it – far less expensive than my previous brand and it doesn’t have sunscreen in it, which is what I prefer. Thank goodness for a visit to Kangaroo Island and to the Emu Ridge shop there! After an ongoing active life i apply Emu OIL on my 84 year feet at least twice per day.Pain from osteoarthritis is considerably reduced allowing me to continue ocean swimming, walking, weight training, irregular golf and cycling. i am rubbing my legs with emu oil hoping to remove bruising resulting from age and the use of 100mg aspirin tablets. Please advise if Emu oil has been found successful for this application. Thankyou. I found the product to be great – it feels really nice on my skin. Great service and a great product. I love using emu oil on my skin. It absorbs quickly and I feel it doesn’t clog up my pores. It is particularly good for massaging and I have been using it on my joints. Don’t know that it has made any real difference to the way my joint function, but it does feel good. Thanks for a great product. My grandson had the skin condition Molluscum Contagiosum which was not clearing up on it’s own. We thought to try Emu Oil on the spots as we had purchased a small bottle on our tour at Emu Ridge during our wonderful stay on Kangaroo Island in October 2013. Within a few days of applying Emu Oil to the spots we noticed a significant change. The condition cleared completely within a couple of weeks. I have now ordered several bottles of Emu Oil online. They have been delivered very promptly. Emu oil ,the best thing ever for healing wounds. I had bilateral knee replacements, rub emu oil on scar line, heal beautifully. Also good for arthritis pain. It works for my mom’s arthritic pain on her joints and enable her to be walk more without pain! And a little bottle can last almost one whole year! A lovely friend of mine seeing my twisted rigid neck (terminal cancer tumours) thought some Emu oil might just soften the skin and give me some relief. She slathered her sample bottle over my lumps and bumps and whilst we chatted she noticed I was turning my head to talk to her. Before long I was nodding, like and Emu? And feeling much more comfortable. Since then I have finished her oil that she bought while on holidays on Kangaroo Island and I have ordered more. My oncologist said go right ahead as this oil is anti-inflammatory so out of some grim times there are some lovely little moments of joy for which I thank Emu Ridge and the poor emus.